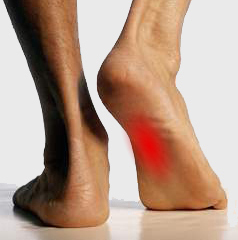 Almost everyone has suffered from foot pain at some point in his or her life. Considering that the feet are the major weight-bearing part of the body, its little wonder we run into problems. A close look at the human foot reveals a marvel of design and efficiency. No less than 26 bones work with the foot's ligaments, muscles and tendons in two very small structures to support and balance the weight of the entire body. Foot pain is not normal and should not be ignored. The presence of foot problems can affect the proper functioning of other parts of the body, including the hip, knee and back. Foot problems are often treated with orthotics. Custom-made orthotics are medical devices inserted into the shoe to correct an abnormal or irregular walking pattern. They are prescribed to reduce pain, to provide support, to prevent foot deformity or keep it from getting worse, to provide better positioning, to relieve pressure on a certain area of the foot, and to improve the overall biomechanical function of the foot and lower extremity. Custom orthotics prescribed by a podiatrist should not be confused with the prefabricated models found in shoe stores, ski and skate shops, pharmacies, sporting goods store or mail order catalogues. There is a significant difference in quality and effectiveness. Custom-made orthotics can provide relief for many different types of foot pain including heel pain and plantar fasciitis; arch pain; pain caused by bunions, an injury or a sprain; pain caused by running, walking and sports; pain related to diabetes; and pain experienced by senior citizens whose feet change as they grow older. Foot orthotics do not actually correct foot or ankle problems, such as fallen arches. But orthotics can reposition the structures in the foot to optimize biomechanical function and reduce the chance of injury. A podiatrist, who has extensive knowledge of lower extremity biomechanics and orthopedic foot function, prescribes orthotics after a thorough consultation and evaluation of a patient's particular problem. This health professional will ask about any medical problems or pain a patient may be experiencing. The podiatrist will also conduct a gait analysis and consider orthopedic issues, level of activity, the type of activity, foot type, and biomechanics, which refers to ankle, knee and hip movement. Based on an individual's particular problem or needs, the podiatrist makes a judgement about whether orthotics will be helpful or if some other treatment is warranted. When prescribed responsibly and used correctly, orthotics can be extremely beneficial. Orthotics can be made by several different processes. Most podiatrists make a plaster mold or take a 3d scan of the patient's foot and send it to a laboratory with a prescription. At the lab technicians assess the cast or scan and then based on the doctor's prescription the technicians custom-make a device to meet the patient's specific needs. This process has been improvised in recent years with the addition of Cad Cam (Computer Aided Design / Computer Aided Manufacture) technology. Be Aware! All Cad Cam technology is not the same -ask your podiatrist if the orthotics you are purchasing are a true custom made product (many are made using a 'library' of orthotics which are matched as best as possible to your feet.) Footcraft orthotics are custom designed to match your feet -perfectly!